If you are not interested in hearing the story, simply skip this post; I will continue writing the usual PD articles after this. 🙂 This proposal is a happy event in my life and I simply want to share the joy with all of you whom I regard as important people in my life. How did we know? For him it was the feeling of knowingness; for me it was based on a web of intense, logical assessment and subsequently intuition. All I can say that is we were probably lovers or deeply connected in our past lives because our souls connected very rapidly once we reconnected as friends on April 8 this year (we knew each other 10 years ago but but never got to know each other till now). It was as if we have always been destined to be together but remained acquaintances until now because we were not ready before. We are now though. So I knew that Ken was going to propose to me–probably on my birthday (June 25). How? Because he has a spoiled clock in his room and he had fixed the hour to “6” and the minutes to “25” early on in our relationship, so I knew that my birthday had some significance to him. He had also regularly mentioned his intention to propose/marry me in the near future, and given that my birthday was the most immediate significant event to come, it was easy to guess that he was going to pop the question then. numbers for my birthday (June 25). 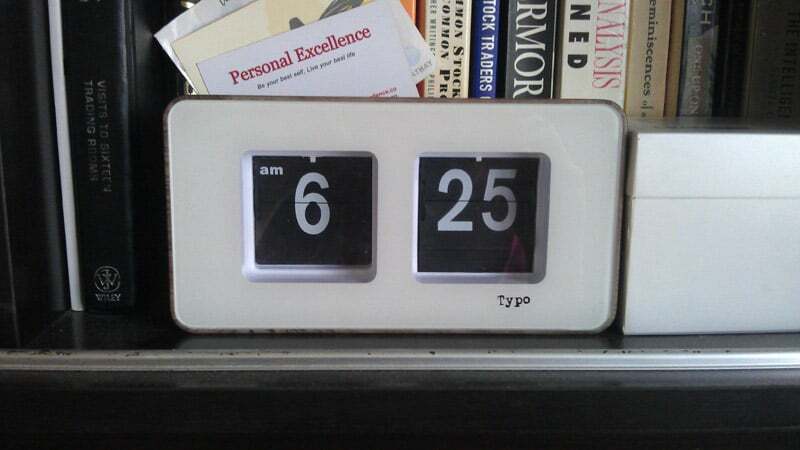 Those are my namecards behind the clock! The only thing I didn’t know was how exactly he was going to propose. 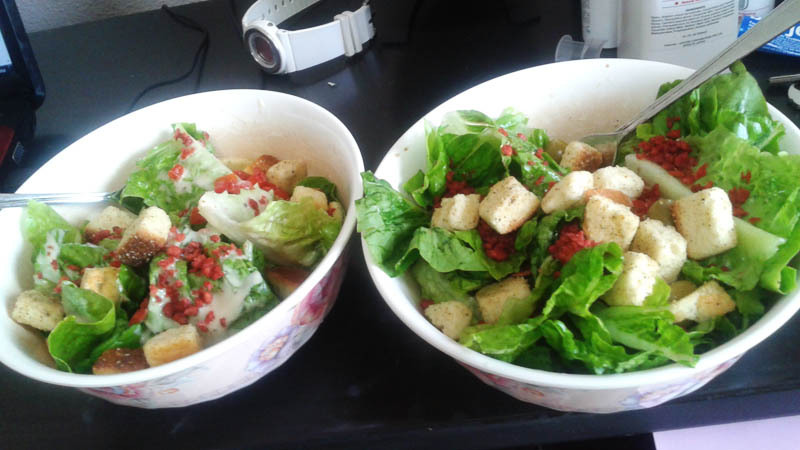 I wanted to leave it as a special surprise from him to me. from him too; it was a Baby-G watch I meant to buy for myself. 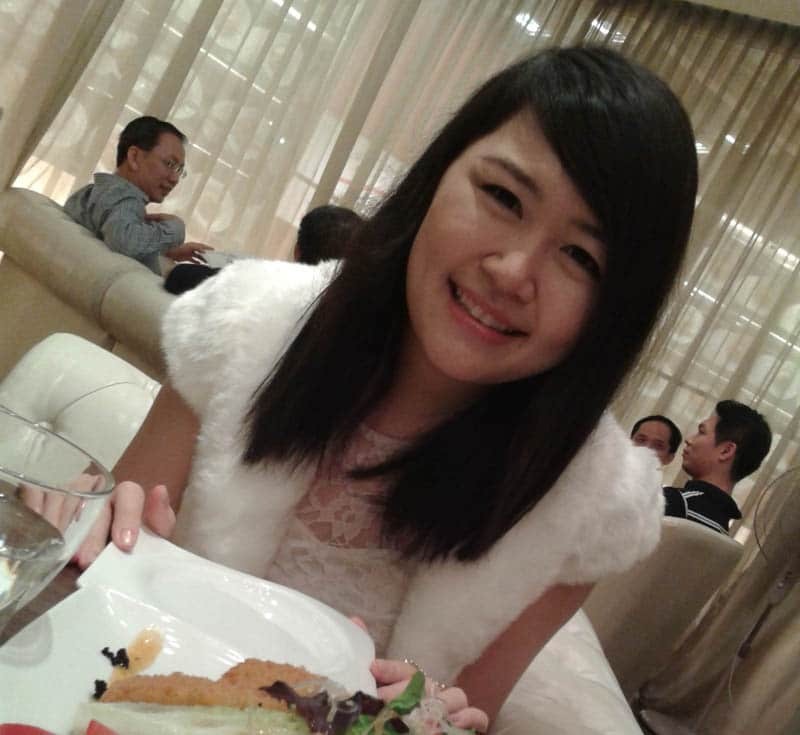 Evening came and we went to Central Mall’s TCC for dinner, under my request. The first surprise came after dinner. We went to the washrooms after he footed the bill; he was nowhere to be seen after I exited from the ladies. This was highly unusual as he would always be outside waiting since I would usually take longer than him, being a girl and all. I thought that he was probably up to something but didn’t give it much thought; I idled around a shoe shop near the washroom while waiting. 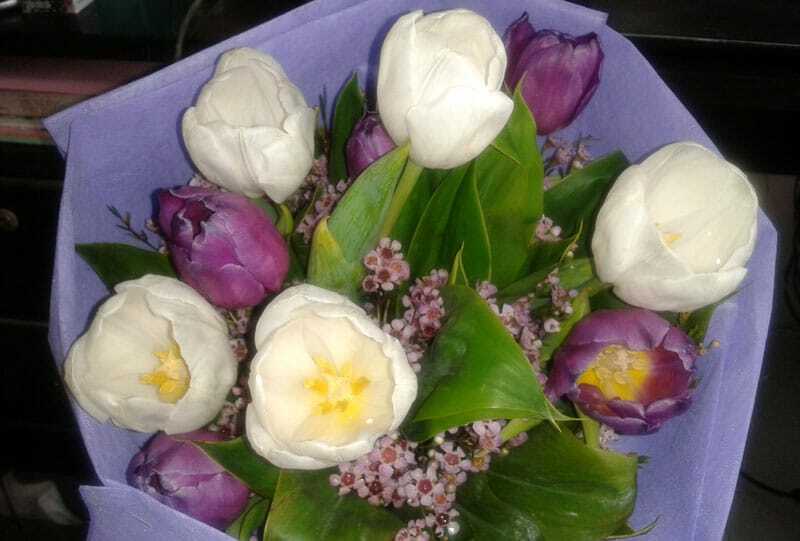 Ken emerged panting after 10 minutes with a huge bouquet of tulips and a box of Royce chocolates, wishing me happy birthday. He said the flower was my birthday gift and wished me happy birthday. Surprised, I hugged and gave him a thank-you kiss. I used when we chatted on Whatsapp and tulips represents perfect love. 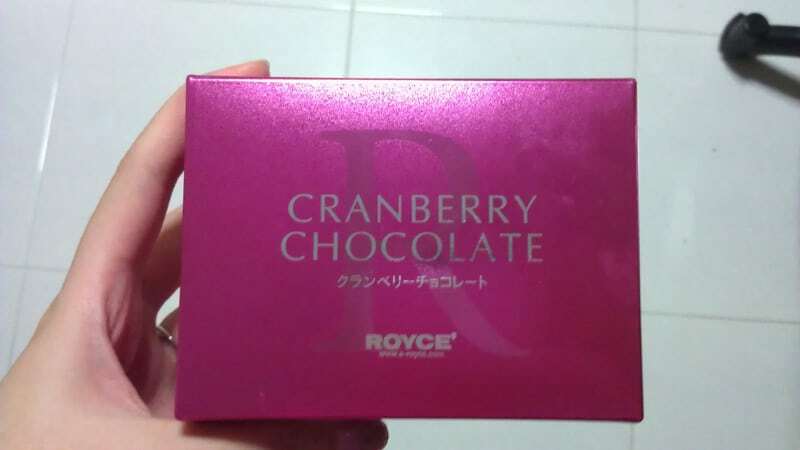 my first gift to him was Royce chocolates (marshmallow ones). I was actually surprised that he gave me flowers because he had given me flowers not too long ago, during our first month anniversary. I didn’t want him to waste the money since flowers are highly commercial in Singapore and hence quite expensive, but since he had already bought them, I could only graciously accept the flowers and thank him for his sweet gesture. I knew that this wasn’t the end of it though since he had still not popped the question, so I went with the flow and followed his lead. 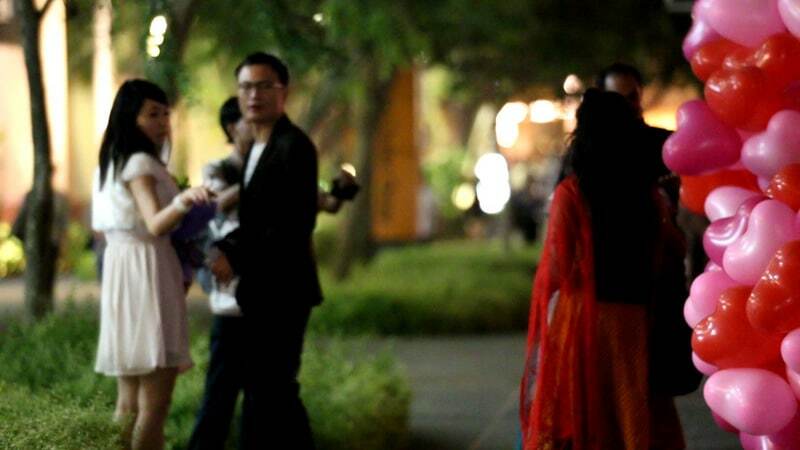 Being Led to the Proposal Site–Unsuspectingly! This was where the actual proposal process started! We exited Central Mall and began walking along the Singapore River in Clarke Quay. Little did I know that we were being filmed at this point–by Jimson, Ken’s friend’s friend, and also a professional videographer. 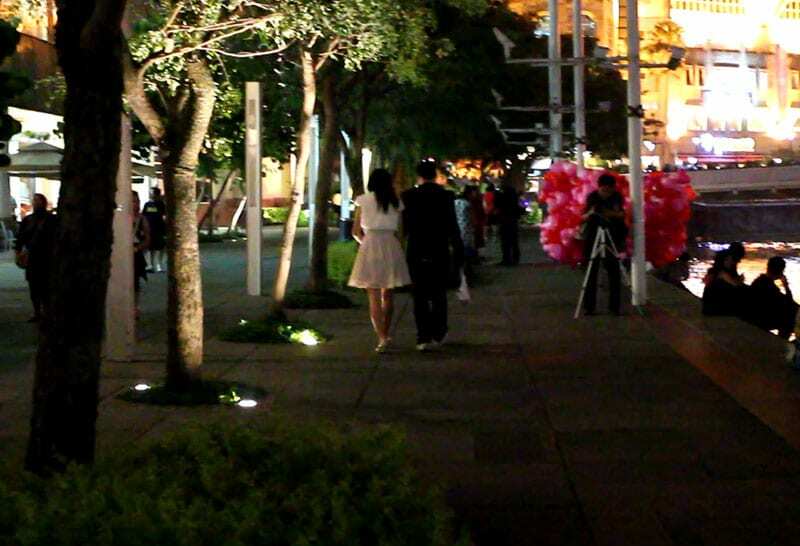 I was still not suspecting anything at this point because I thought he would stage the proposal near the fountain area (since that is an activity hub in Clarke Quay) or at the dessert/drinks location we were heading to. Ken and I walking along Singapore River. That’s Jimson following and shooting us from behind!! Back view of Ken and I. The guy on the right with the camera and tripod is another videographer secretly filming us–James, Ken’s friend! This was when I noticed this huge bunch of red, pink, and fuchsia heart-shaped balloons along the side of the river; it was so prominent that there were even civilians/tourists standing next to it to take photos! 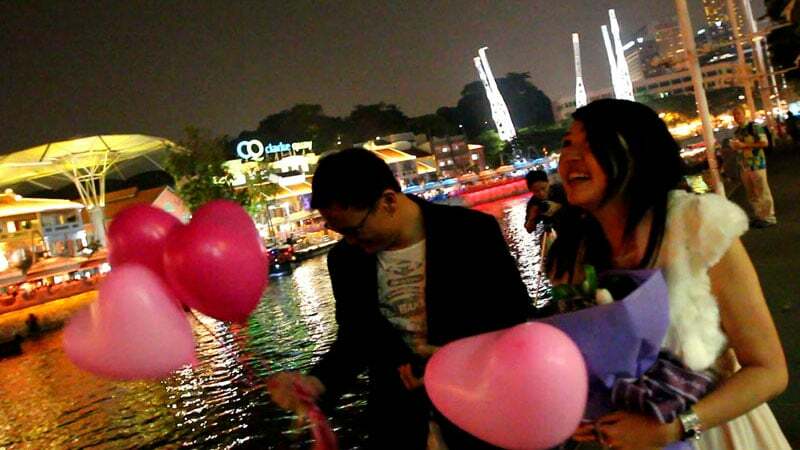 The balloons weren’t usual in the Clarke Quay setup; but then again there are always tons of hijinks going on at Clarke Quay, so I didn’t suspect otherwise. Thinking that this was part of some event setup or someone was selling balloons or something like that, I went, “Woah, what is this for?” while we were walking towards the balloons. At this point, Ken stopped next to the balloons and asked me if I wanted to have a chocolate. I said okay and he began removing the adhesives on the box (the box had two adhesives holding it in place). After trying to remove the adhesive without luck, he asked me to help him out. Not suspect anything, I said okay, and took the box from his hands. This was when I could feel something was amiss. As I peeled the first adhesive, I could feel that he was jittery–he kept his hands in his pockets and kept looking left and right–something which he never does. He is always highly composed, being well-built and having been trained in various martial arts before. I’ve never seen him fazed about anything before except for matters concerning us. At the same time, energetically I could feel tension, as if people were watching us and anticipating for something to happen. 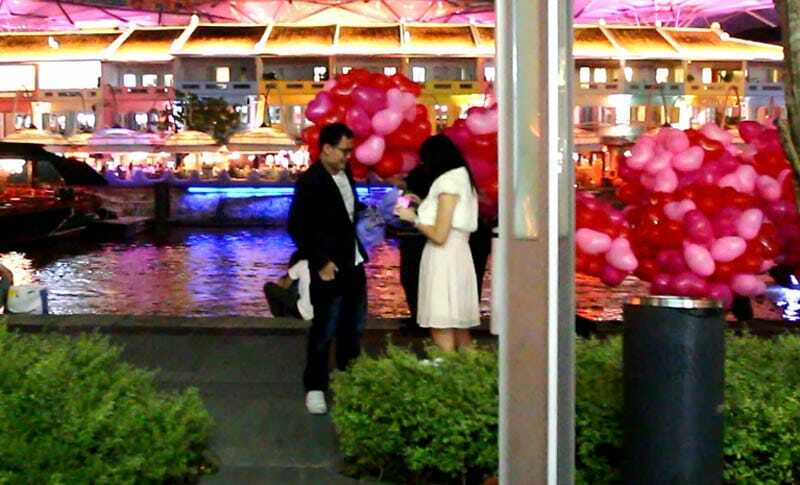 I realized that he had stationed us right beside the huge bunch of heart-shaped balloons–heart shape is actually a big theme in our relationship. We often demarcate the heart symbol to each other with our fingers; we also often use the red-heart icon in our Whatsapp messages to each other as a symbol of our love for each other. It was at this point that I put two and two together and thought, “Okay, I think he’s about to propose, and the ring is probably in this box!” I slowly peeled the second adhesive away on the Royce box, opened it, and sure enough, there was the ring box! The ring box, hidden inside the Royce chocolates box! Upon the reveal, Ken gushed. At this point, Jimson ditched his cover and immediately swooped in front of us to capture my expression on camera, while a crowd formed around us. Watch the proposal video above first before you read on any further! The balloons which Ken referred to in the video and which he arranged as an after-proposal prop is with regards to this very casual comment I made to him before. There was once I dreamed that I was at my wedding; I couldn’t see my groom’s face (it was blurry) but I distinctly recalled balloons flying up in the sky during the event. I mentioned it to him casually after my nap; I honestly didn’t expect him to remember that comment, much less make it a proposal prop! 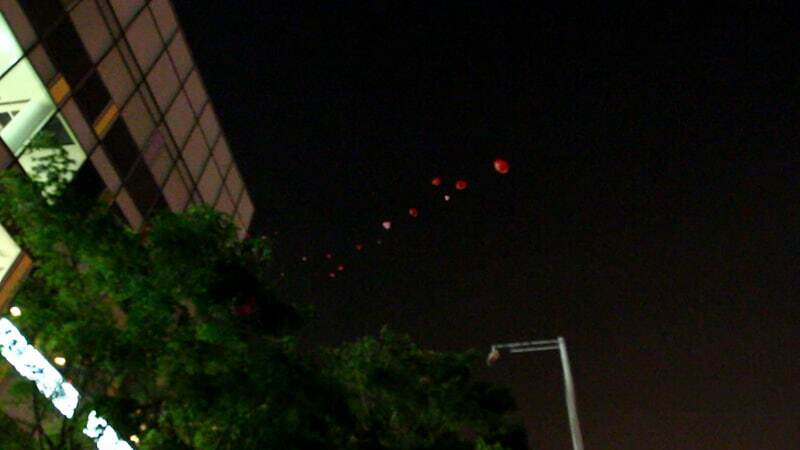 Believe it or not–there were actually 555 balloons in total!!! I found it cute how bystanders were taking photos, recording videos, and applauding/cheering us during the proposal; I guess as much as we are strangers, happiness and joy can always be celebrated by and shared with anyone. If any of you took pictures/videos and happen to read this blog, please send them to me at business[at]personalexcellence[dot]co. I would really appreciate it! While I wasn’t surprised by him proposing as I already saw it coming, I was pleasantly surprised by how he proposed and his meticulousness and effort in staging the proposal and making it happen. He deliberately sourced for heart-shaped balloons because the heart symbol is particularly important in our relationship. He had to run through several balloons suppliers because many either couldn’t meet his request for heart-shaped balloons or fulfill his order quantity (555!). 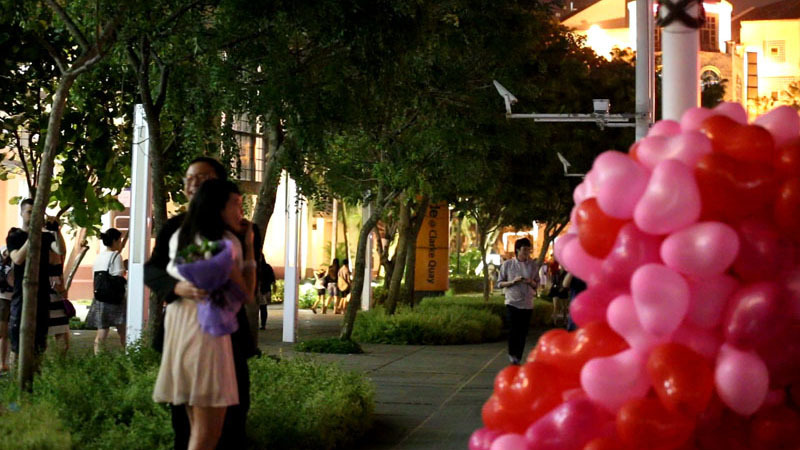 Besides the balloons and the number “5”, other elements in the proposal are also specific to our relationship. 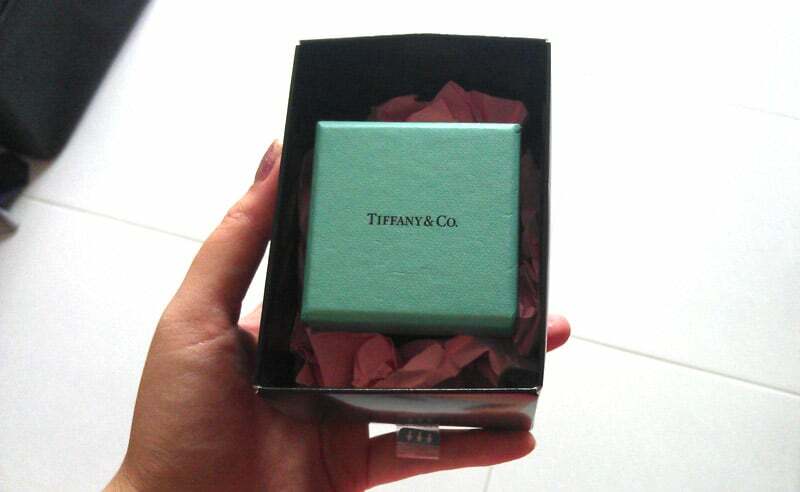 For example, he hid the ring box inside a Royce chocolates box because Royce chocolates was my first gift to him as a friend. He gave me tulips as the tulip was the virtual flower I gave him in our Whatsapp chat; also tulips represent perfect love. If this wasn’t enough, he had actually planned to execute the proposal on June 22 during his company’s Family Day (he works in Hewlett Packard). 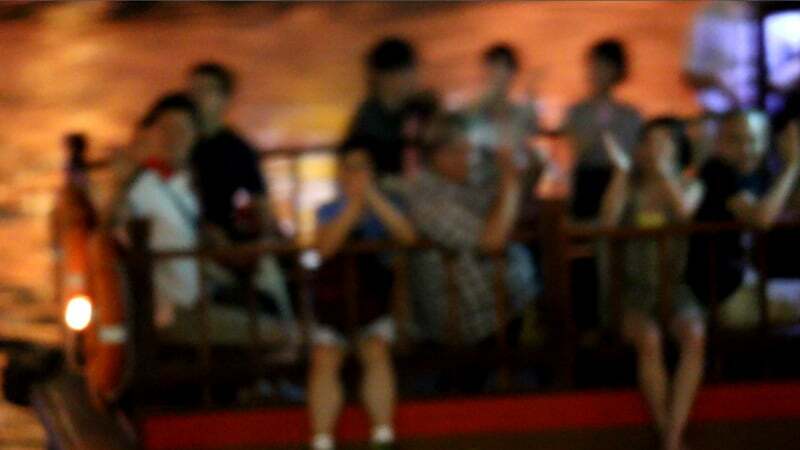 If it happened then, it would have been at Sentosa (a beach in Singapore) in front of a crowd of thousands! 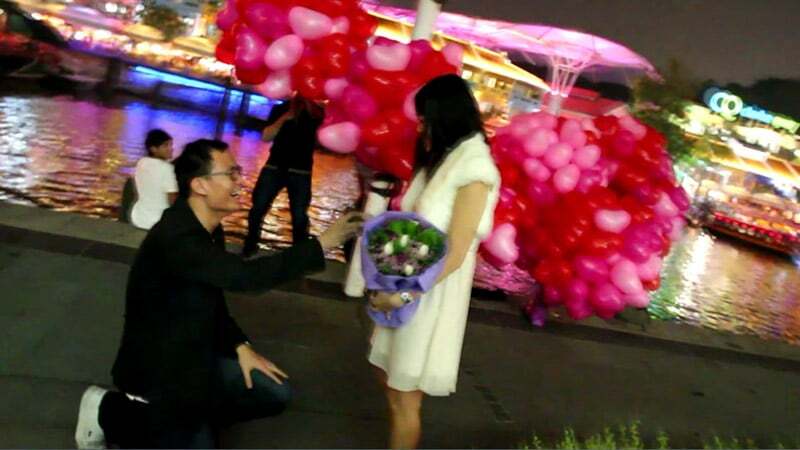 He went through great lengths for the planning–he liaised with the event organizer and emcee, arranged for his proposal-crew friends to get access passes for the event, arranged for the 555 balloons to be delivered to Sentosa that day, and even had a wet-weather plan! Eventually the Family Day was postponed due to the haze, so he acted quickly to make the proposal happen on my birthday–with only a four-day lead time no less. 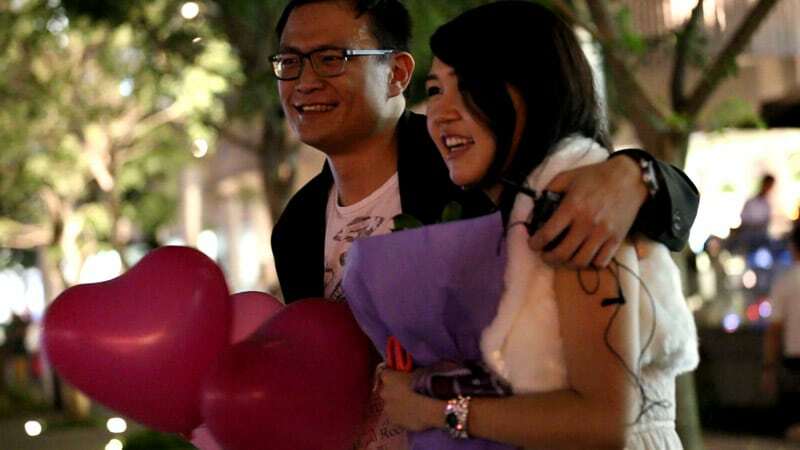 Personally, I’m glad that the proposal happened the way it did, on my birthday, because it is much more personal and meaningful than the original proposal plan. …all these planning, from the balloons (555 of them), to the chocolates, to the tulips, to the videographers, to the location sighting, etc. are not the reason why I’m marrying him. 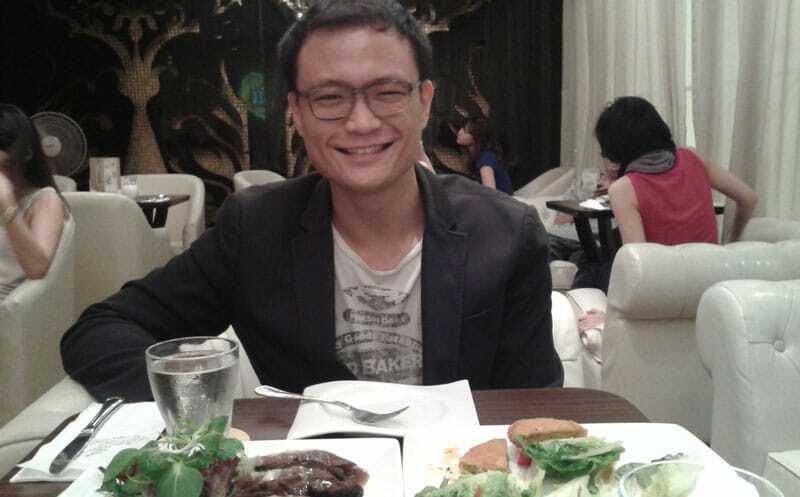 I’m marrying Ken Soh because he is the love of my life and he is the person I can ever see myself with in this lifetime and who knows, for lifetimes beyond, if fate begets. It wouldn’t have mattered even if he proposed to me in the bedroom on a random afternoon with the ring from a Coke can; I would have said yes all the same. Because it is him I’m marrying, not the proposal. I’m really touched that he went into all this work to plan and make this proposal idea; it simply ascertains his love for me and that this is the person whom I want to spend the rest of my life with–something I’ve realized earlier on in our relationship. I’ve already been receiving really touching messages from readers and friends, from thank-you’s about how my story with Ken inspires them in their love journey, to offers to help out with our wedding, to requests to send engagement gifts, to expressed interest (even from those of you overseas) to attend our wedding if we have an open invite. It warms me that you care for me the way I do to you too; it encourages me to continue sharing more about myself and my life with all of you here on PE. Upcoming Wedding – Your Thoughts? Keep your eyes peeled on PE with regards to the wedding; at this moment we are likely looking at having it one year from the proposal, which would be June 25, 2014. 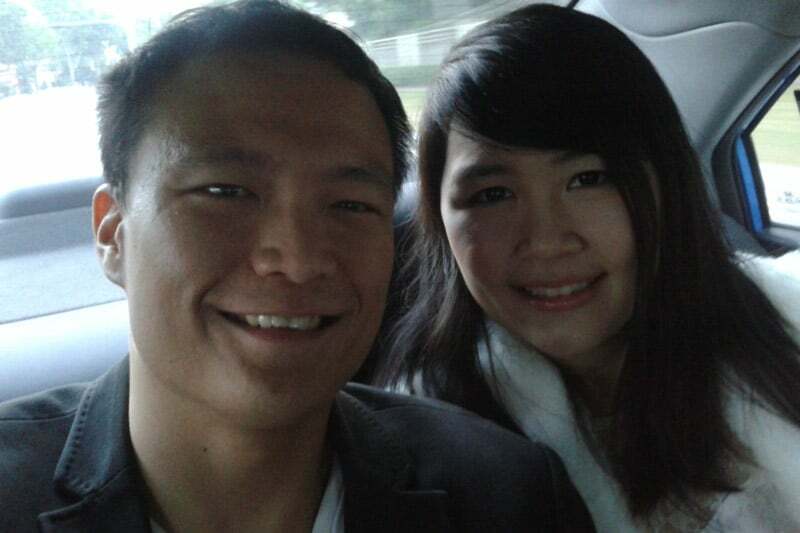 Another possibility is December 25 this year, but it’s unlikely as it’s just six months from now and we just want to enjoy our time together as an engaged couple now vs. rushing into marriage. The only problem with June 25, 2014 is that it’s on a Wednesday, which is a weekday. However, we believe that the people who truly wish to be at our wedding would make it there regardless of whether it is a weekday or weekend, while those who do not have the sincerity to turn up would not be there even if it is a weekend.